97.9X was part of the grand opening of the new Turkey Hill on Claremont Avenue in Tamaqua on Saturday (January 23rd). 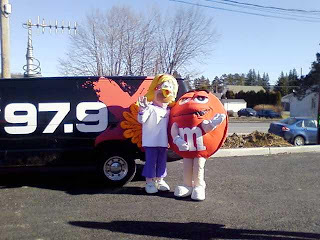 Turkey Hilda and the Red M&M wanted nothing more than to pose in front of our van. Can you blame them?? We rock!